While going through some drawers I found these old journals. Although these are probably not how I would decorate a journal cover now....it's what's inside that called to me. When my kids were younger I found it hard to get through the Christmas season. Sometimes it would feel overwhelming to get all of the decorating and shopping done. I found that if I spent a bit of time writing what I did each day during December it was easier. I would make a cup of hot tea and write some thoughts about what was happening during the day and how I felt. Many "to do" lists were included. Somehow these journals got me through the busy time of holiday preparation. They were a good excuse to take some quiet time. I was reminded to reflect in the beauty of the season. Enjoy twinkle lights, snow, my kids and everything that makes life sweet. Now as I read through these journals, I'm transformed back to those past holidays and am able enjoy those times once again. Hope you all find quiet time to write. I have a few journals, think it is time I start using them. Great idea to help keep sane during the holidays. Making lists and writing things down always seems to help. Thanks for sharing! Rohhh wouahh !! juste beautiful !! I love those! What a great idea! 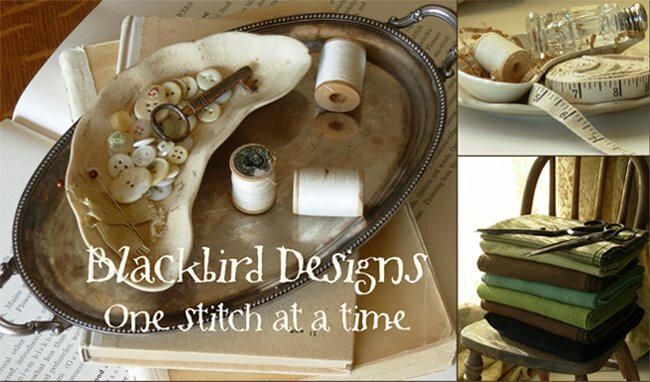 I am new to your blog- love stitiching and fabric (and paper) crafts...and love your designs! How wonderful! What a great way to remember the holidays! What a wonderful idea. Thanks for sharing your sweet memories! living alone with my daughter, her husband and three teens in Europe, I haven't really celebrated Christmas much the last ten years or so, but my mind is turning to wreaths, hot mulled cider and cookies and a small tree. It helps that I will be planning to hold Open House at my quilt studio on the weekends up to Christmas. Our little bit of snow helped yesterday. I love those albums - gives me ideas!! An inspiring idea - especially in this rushy rushy month of activities and things to be done. Thank you for this idea. I have a very young child, and this would be a wonderful way to remember the holidays. We keep a journal/scrapbook of Christmas eve each year...lots of notes from all the family, some photos, and of course the menu (about 100 people come to the house!) It is fun to look back at these each Christmas. What a neat idea! And I LOVE the way they are decorated. So cute! Oh, thank you for sharing! Journals have always been a comfort to me. Now with an approaching Chritmas without children in the home, you've given me a "new tradtion". Such a priceless memory for you and your children in years to come. I wish I had the foresight to do something that could be so cherished! Love the blogs. Such a great post. Journaling is what keeps me sane sometimes. Not only the holidays but all through the year. I think it's so important for women especially because sometimes others don't really want to listen to all our woes but we need to vent somewhere. I wish I would have kept a journal. I would like to make them for my kids to use. I have one son that is always writing about the life and times he is living in the backwoods of Maine. I think I will do a cover for him. not what you would do today, but isn't nice to see how your styles and mediums have changed through the years? As you have grown with confidence in your craft, so have your ideas! What a wonderful idea !!! Thank you Alma, I'll probably do the same ! 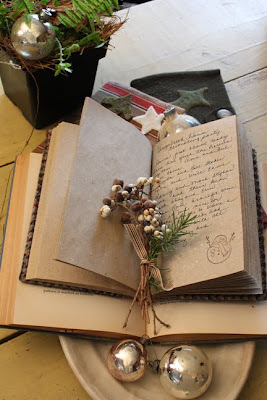 The journals are very prim style and I like them very much! Lovely covers on your journals. I am sure there are some memories written down too. What a wonderful idea .. I keep a gratitude journal, but holiday journals would be a keepsake too.. I love to journal and have journals for many different parts of my life. This is a lovely one to pull out each Christmas. I love that idea. Love the journals. Do you sell the patterns or could you do a tutorial of this project. 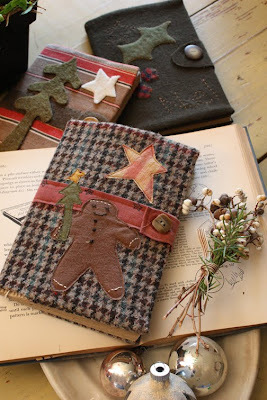 I am sure everyone would love to make one fot the holidays. Great gift idea.